Perhaps it was the scaled-down feel of the Palexpo building where the Baselworld watch expo takes place, or maybe it was the first stirrings of global economic headwinds, but for whatever reason, this year the timepieces that shone the most weren’t the ones with the most diamonds. Instead, among the hundreds of new watches I saw from brands such as Rolex, Graff, Hublot, Nomos, Bell & Ross, Grand Seiko, TAG Heuer, and Bulgari, the ones that caught my attention included a fair number at entry-level price points. 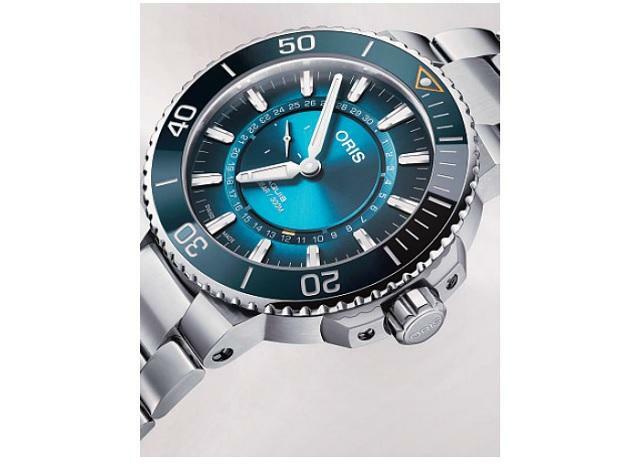 Whether they were new concoctions from Oris or Casio, or retro pieces from Breitling or Bulova, there was a lot to love under $10,000. Of course, I loved the diamonds, too. I’m not crazy. Here are my favourite pieces from the biggest watch show of the year. So this one isn’t cheap, really. But for Hublot it’s at least a little understated? 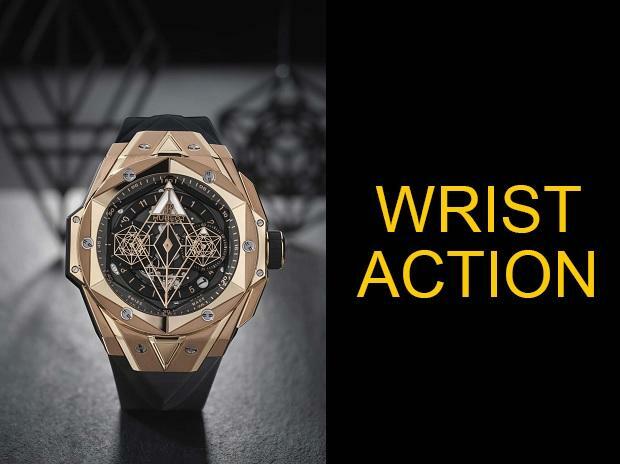 The 45-millimetre watch is an update of the brand’s ongoing, successful collaboration with tattoo artist Maxime Buchi. The top of the huge diamond is actually the hour indicator, while the long hand that stretches across the face indicates the seconds. The little white triangle in the subdial at 3 o’clock 0serves as the minute hand. They all rotate visibly in a very satisfying way, on a 72-hour power reserve. This was probably my favorite watch of the show. Another vintage-inspired piece, at 38mm it looks kind of small and understated on the wrist, despite its intricacy. It’s essentially a reissue of the first watch to be introduced with Zenith’s legendary El Primero movement back in 1969, but with more powerful and reliable automatic technology inside. Although it will be limited to 50 pieces in each metal, you can bet more versions will continue to come out in the coming years. Even if you’re not a yellow gold person, you should get this in yellow gold. It’s literally a classic. 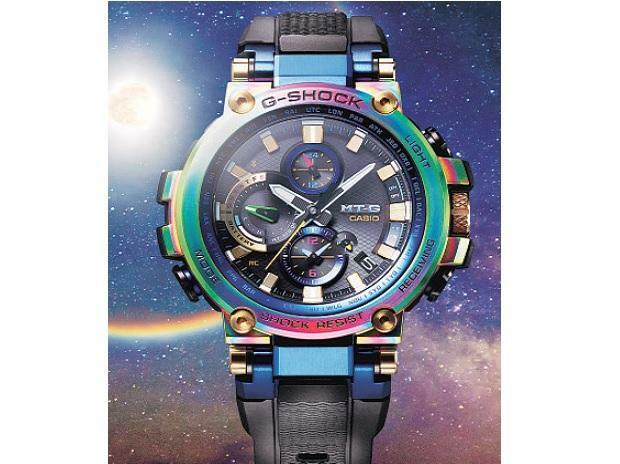 We know rainbow watches are all the rage, but the trend has so far existed mostly at the top of the price range. Brands such as Rolex, Chopard, Hublot, Audemars Piguet, and Parmigiani have been rolling out versions, with a spectrum of coloured gemstones and diamonds. That’s why it’s hard not to love that Casio, one of the biggest movers in moderately priced timepieces, decided to deliver its own response. This limited-edition MT-G watch (MT-G is the premium, solar-powered range of the G-Shock line) looks cool in person and won’t break the bank.